That was the response of Phillip Hatton, Product Line Manager, Nike Golf Clubs, when we asked whether golf equipment manufacturers can continue making better products, year after year. It’s fitting that Hatton should be talking about advancing performance, because Nike has just introduced the sixth generation of its Pro Combo line of irons, the VR Pro Combo Forged Irons. Seeing them made us remember back to 2003 when the first Pro Combo set was launched, and things certainly have progressed since that time – with the Pro Combo itself, and iron design in general. According to Hatton, the original Pro Combos were born from Tour staff input and golfer insights on three sets of Nike prototype irons (a full cavity set; a split cavity set; and the original Forged Blades). Requests then came to combine the three different types of irons into one set for the optimum combination of forgiveness and feel where it's needed most. The Pro Combo 'combination' set was therefore developed utilizing full cavity long irons, split cavity mid irons, and muscleback short irons. “In contrast, the VR Forged Pro Combo has evolved to what is currently a combination of two distinct chassis technologies that further elevate forgiveness, maximize feel and offer consistent and precise distance control,” Hatton instructed. As a result, the VR Forged Pro Combos appear a good share different than the originals. While the first Pro Combo irons definitely featured three distinct iron head looks within the same set, the latest version appears uniform throughout. Now, the only departure is between the short and long irons – the former offering a distinct “pocket” in the head. But from a distance, the new Pro Combos look consistent from 3-PW. So how do they differ from the fifth generation, you ask? That ‘Shotmaking gel’ is something you can’t see, but it does seem to work. The sound of these clubs is pure and sweet – about all you could ask from a high-end forged iron. Additional improvements include the new X3X 27 grooves, which increase the groove area behind the ball at impact by 36% versus their predecessor, thereby improving spin control and trajectory consistency in wet and dirty conditions. How you measure that, I don’t pretend to know – but we’ll go with it. Also new is the variable trajectory True Temper DG Pro shaft, which offers the widest variation in trajectory of any shaft on the market: high and strong trajectory in the long irons, flattening out to a low, piercing trajectory in the short irons. 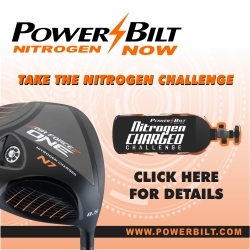 We’ve seen “progressive” shafts before, and this could be the next great wave in shaft technology. Stay tuned. As previewed above, Hatton says the most notable advancement in the construction of the VR Forged Pro Combo irons is the Pocket Cavity in the 3-6 irons. This improvement deepens and spreads weight to increase stability on off-center shots (i.e. 'more forgiving') and promotes a higher, penetrating trajectory. 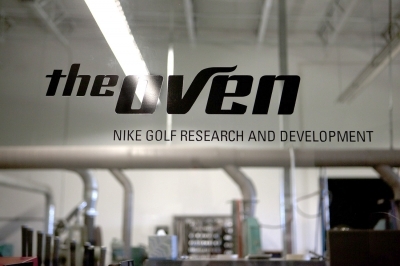 The ‘Pocket Cavity’ is precisely the type of innovation that used to only be available in cast irons, but now is seen in many companies’ forged offerings (for what it’s worth, the VR Forged Pro Combo irons were designed and developed by Nike Golf engineers at The Oven (Fort Worth, Texas), and manufactured by Endo Thailand). 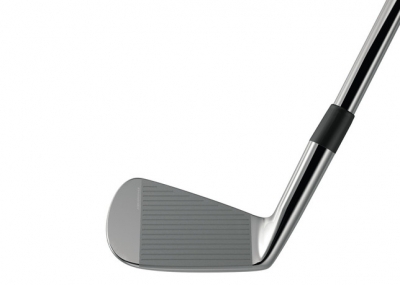 One more “traditional” aspect of the VR Forged Pro Combo irons is the inclusion of a 3-iron. Many sets these days (including some from Nike) are starting to trade-off the 3-iron in favor of an additional wedge. That makes sense. Better players tend to hit long-irons well, and they favor the ability to vary ball trajectory that irons provide. 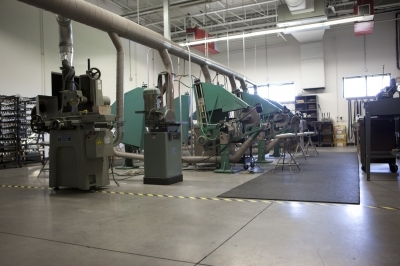 Besides, for golfers who wish to drop the 3-iron from their bag, any desired set configuration can still be ordered through Nike’s custom department. 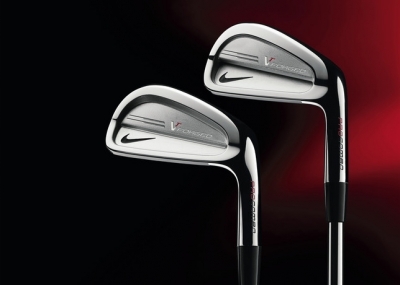 In terms of chassis shapes, the traditional, clean and compact profiles of the VR Forged Pro Combo were developed directly to satisfy the needs of Nike’s Tour players – but the club’s forgiving characteristics also make them playable for most players. For game improvement needs, Nike offers several irons lines to consider (including the VR_S Forged irons, which we reviewed earlier this year). If you’re looking game improvement, maybe you should steer clear of the Pro Combos. For our purposes, we found the VR Forged Pro Combo irons to be comparable to other high-end forged irons in terms of looks, feel and sound. Distance was consistent and pretty standard with traditional lofts – nothing juiced-up about these irons. 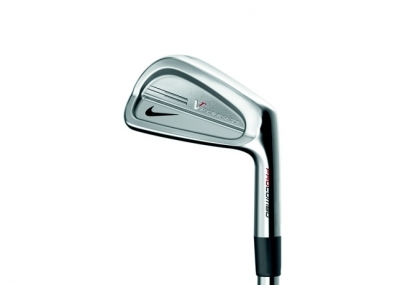 They were not as forgiving as the Nike VR_S Forged irons we tried, but we didn’t expect them to be, either. 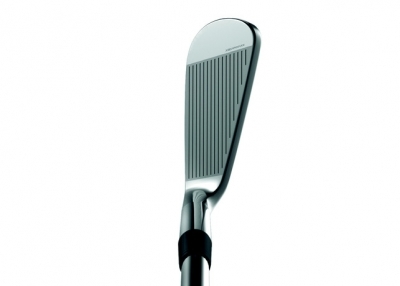 The topline was thin and pleasing as traditional forged irons would look. All around, quite a nice product with quality manufacture. Nike has certainly come a long way in its design and manufacturing evolution. Thanks to staff players such as Tiger Woods, the brand has earned a solid reputation for quality and innovation. If you’re in the market for high-end forged irons, we definitely recommend that you include the VR Forged Pro Combo irons in your ‘must try’ list. It all goes to show that the best can still get better – and Nike will keep working to make sure of it. 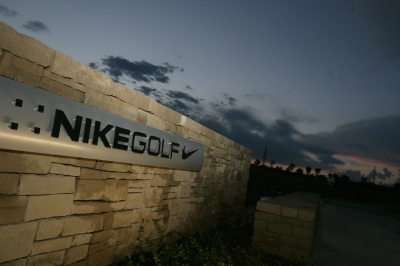 Check out more information about Nike Golf products at: www.nikegolf.com . Like you’d expect from Nike, the website puts on a good show, too.